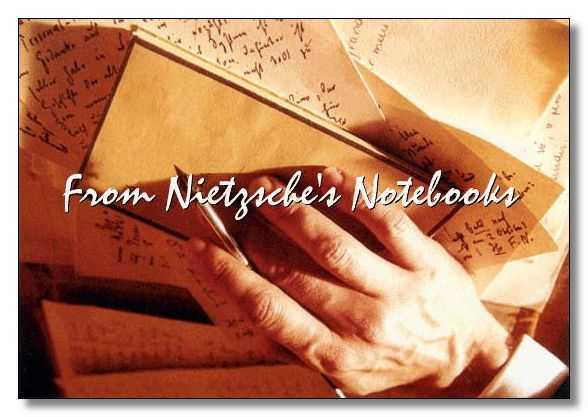 The Nietzsche Channel: From Nietzsche's Notebooks. "[M]odern booksellers have the presumption to advertise in their catalogs the lecture-notes of dead professors, whereby immature and provisional drafts of opinions reach the public ..."
 Jacob Burckhardt: "Last Will and Testament." COPYRIGHT NOTICE: The content of this website, including text and images, is the property of The Nietzsche Channel. Reproduction in any form is strictly prohibited. © The Nietzsche Channel.